Wedding season is upon us! 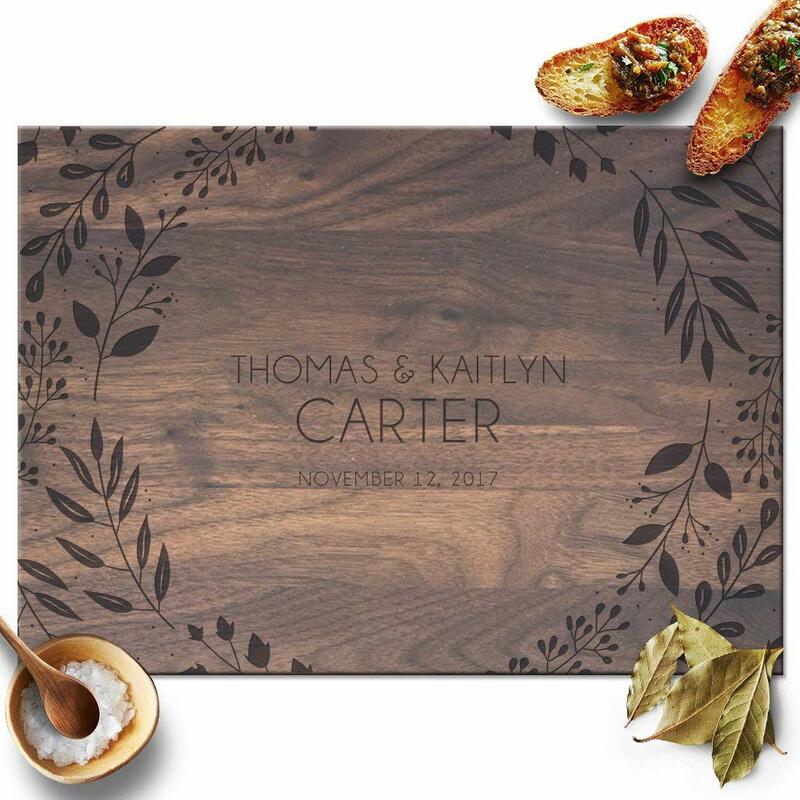 Most of the time, the happy couple offers up a registry with all the things they really need so guests won’t have to guess about what to get them. Sometimes, though, it’s nice to receive a surprise too! I personally love receiving “off-menu” gifts and many times those have ended up being some of my favorite most cherished possessions. 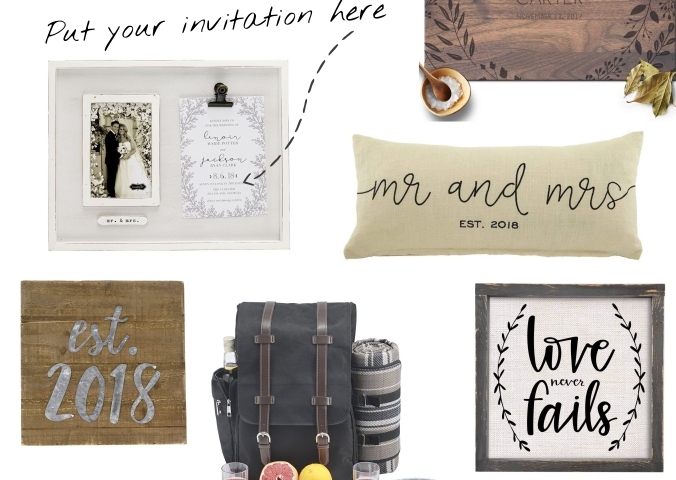 My two-cents on wedding gifts: even if you don’t plan to buy something from the registry, check it out! 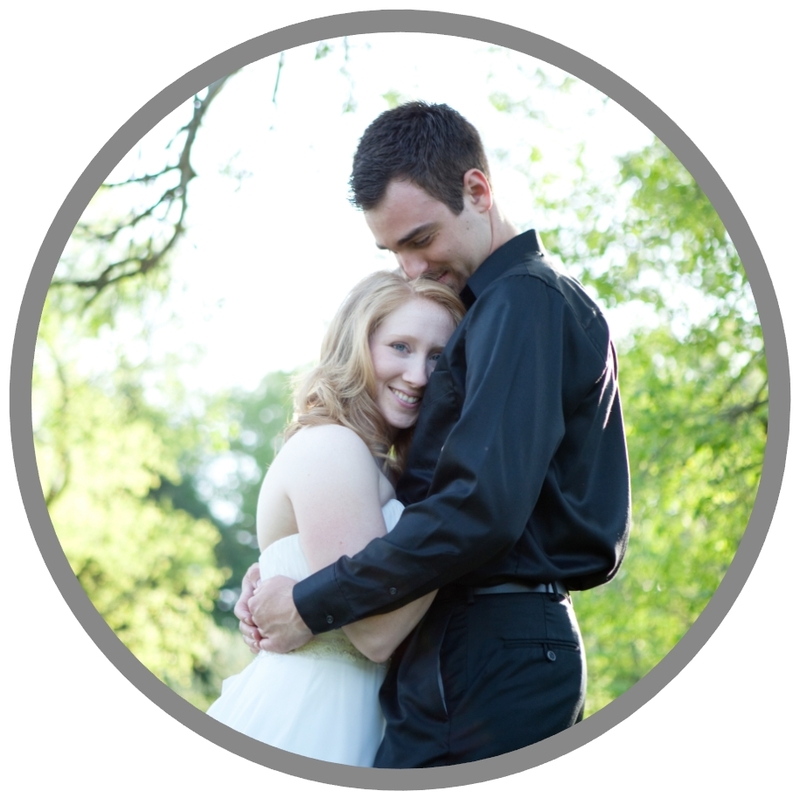 You can get a lot of ideas about what the couple might like based on what they’ve asked for. And please, don’t get them a crockpot or toaster or coffee maker if there is a different one on their registry (even if you are getting them a “better” one). They’ll just end up with a bunch of appliances they don’t need. Trust me. 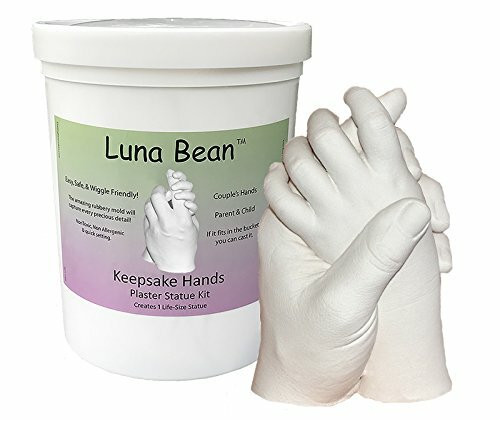 I’ve found a few unique products that I think many couples would be thrilled to receive on their wedding day. 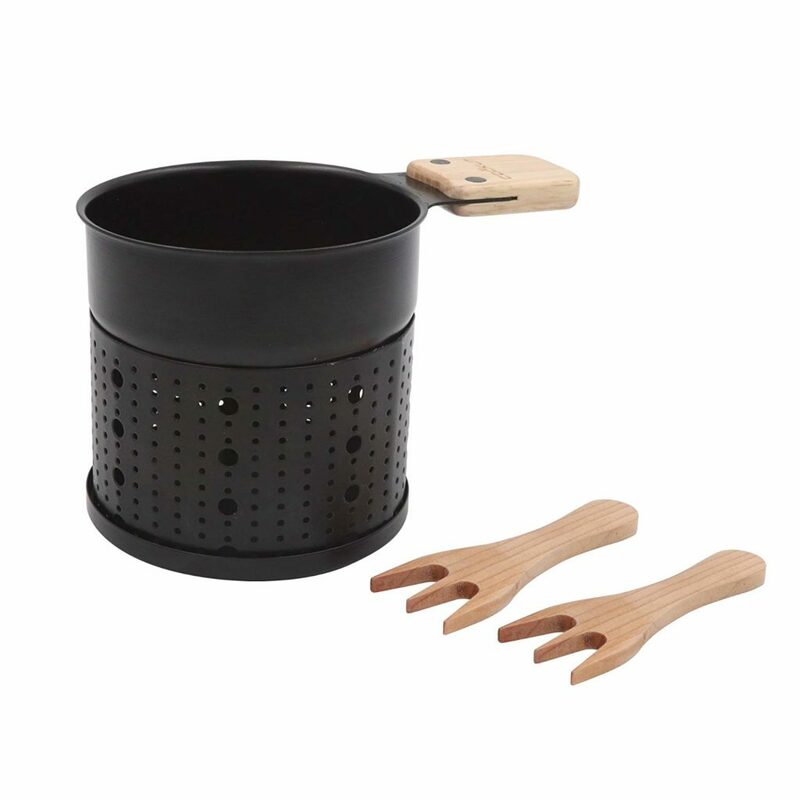 These products are beautiful and functional items that the couple can enjoy for years to come. 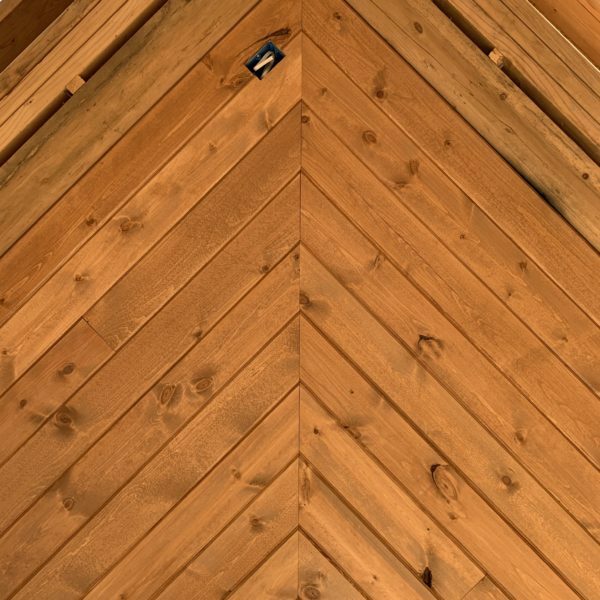 Plus, they all have a wonderful rustic feel that would pair perfectly for the barn/farm wedding venues that are so popular now! 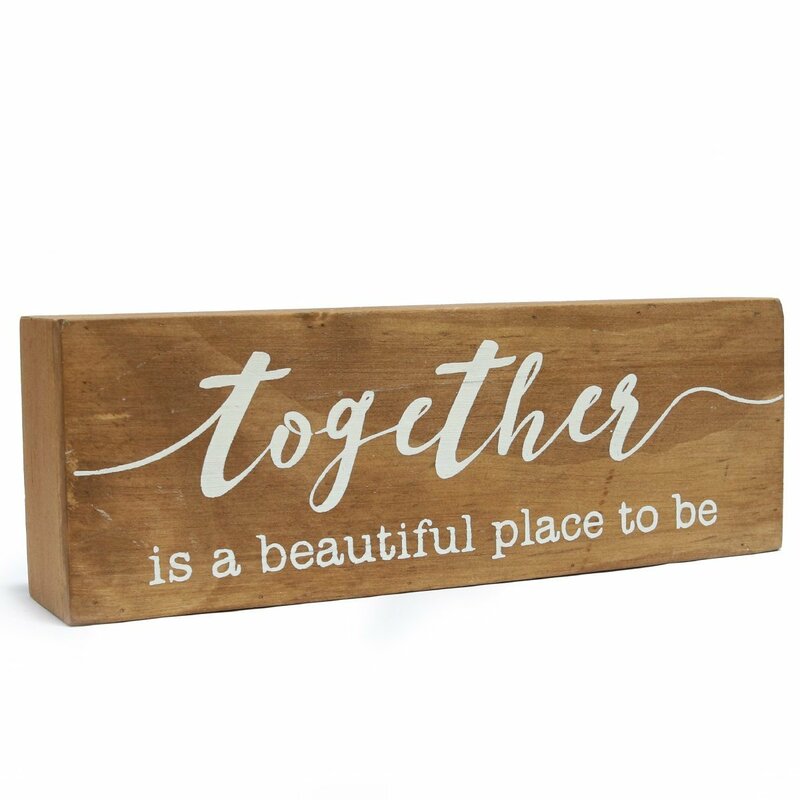 This sign gives the rustic feel of a pallet with a beautiful and meaningful quote. 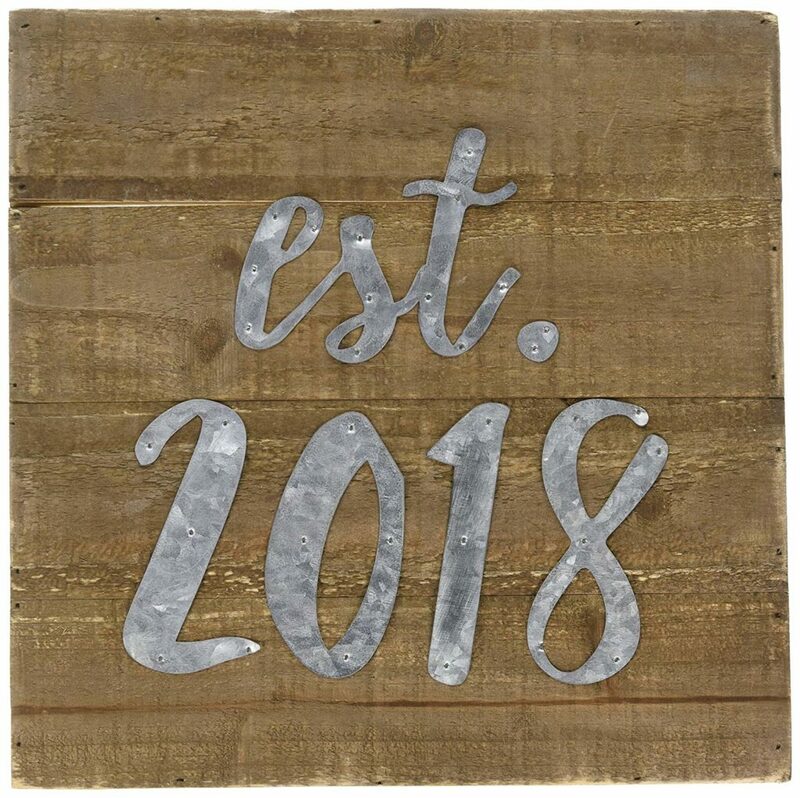 Another simple, rustic sign. Gotta love that burlap. This one might be my favorite. 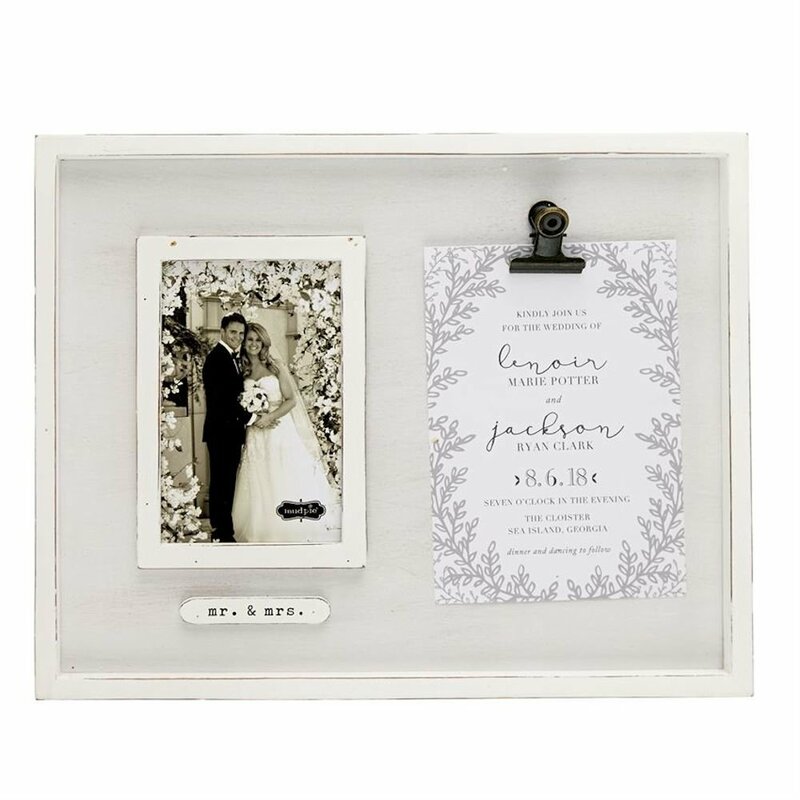 I love that this wall art acts as both a picture frame and a display for wedding memorabilia, such as the wedding invitation. I don't know about you guys, but I'm always torn between hating to throw away the gorgeous invitations after the wedding, but also trying to minimize the number of things we keep, taking up storage space. 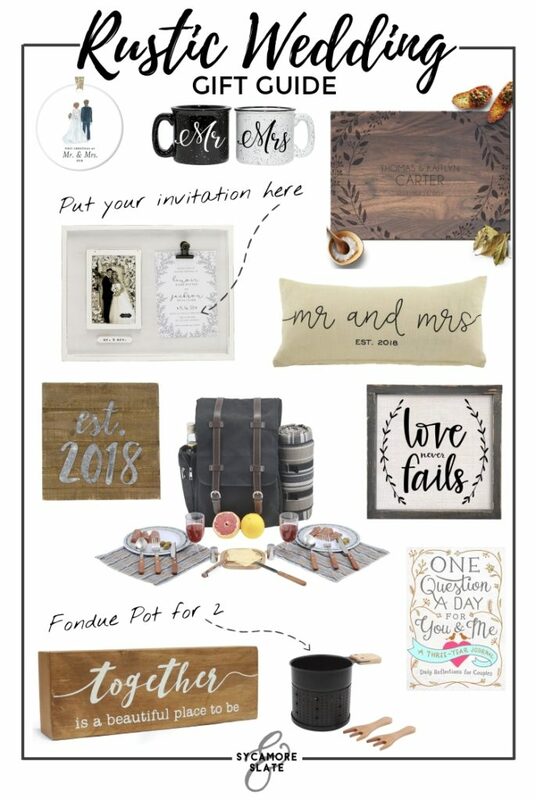 This is a great way to ensure that invitation won't go to waste. 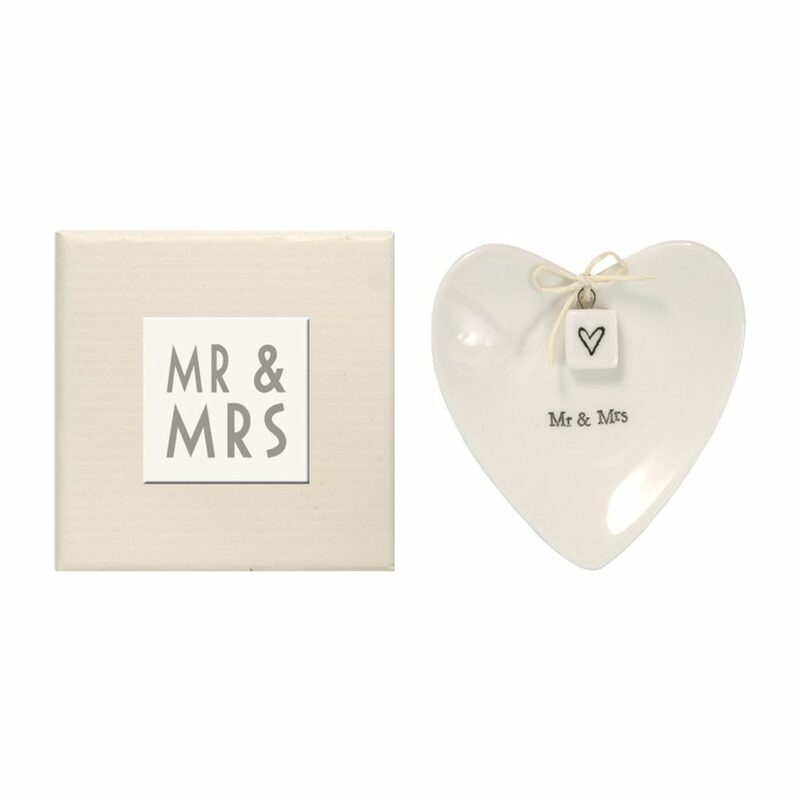 Clip it into the frame and give it back to the bride and groom as a keepsake! The happy couple might never want to take their rings off again, but sometimes you just have to. This beautiful dish will ensure that those rings don't roll away or get lost! This customized clock would be such a neat way to keep time at home. 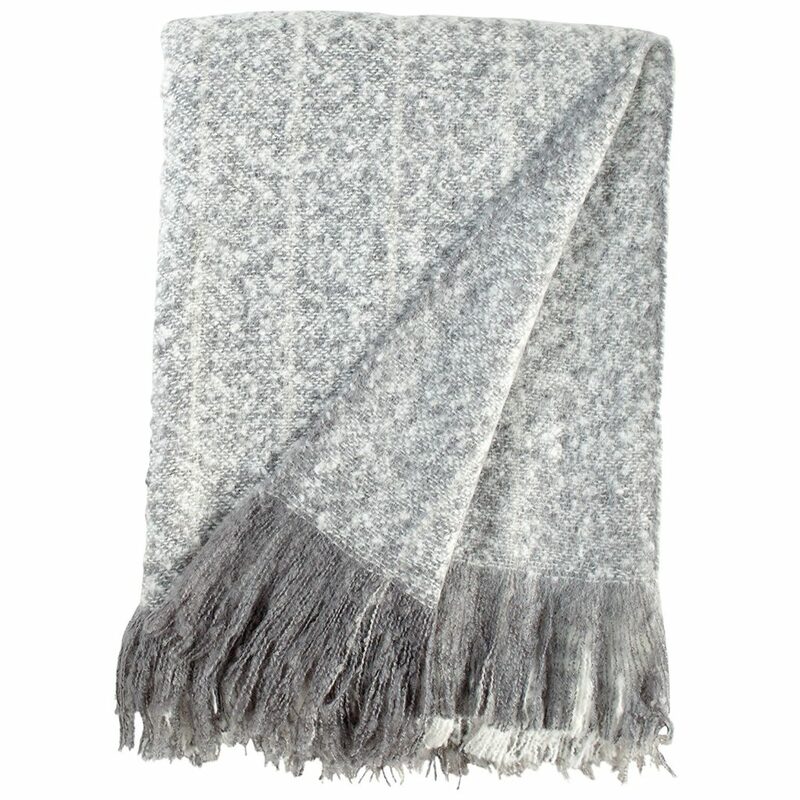 The happy couple can cuddle up together under this cozy oversized throw blanket! Even if it's the middle of summer, it's so fun for the couple to look forward to big events in their newly-married lives. 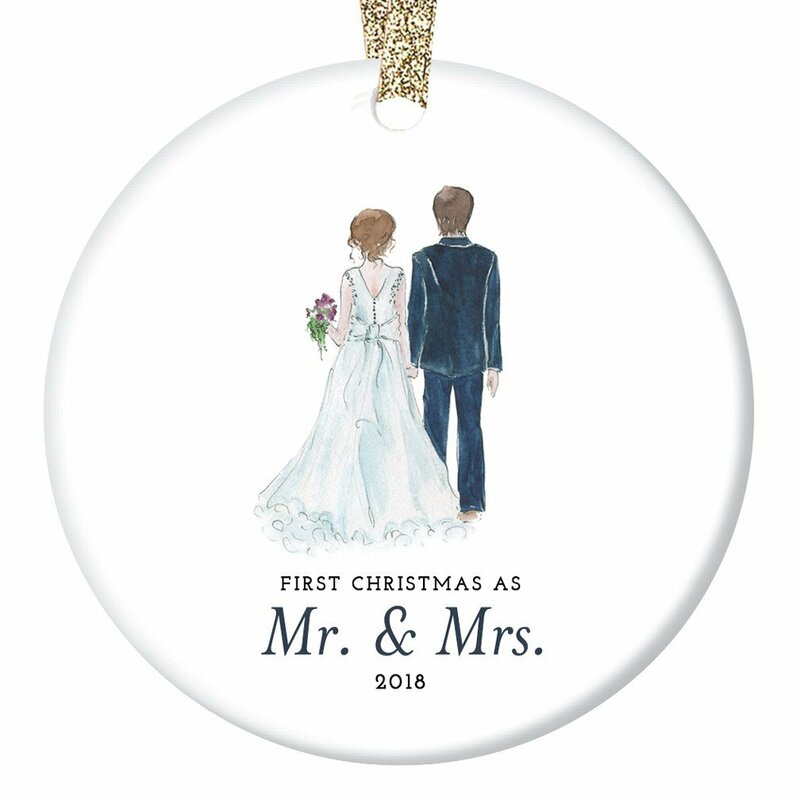 This Christmas tree ornament will get them excited for the holidays! 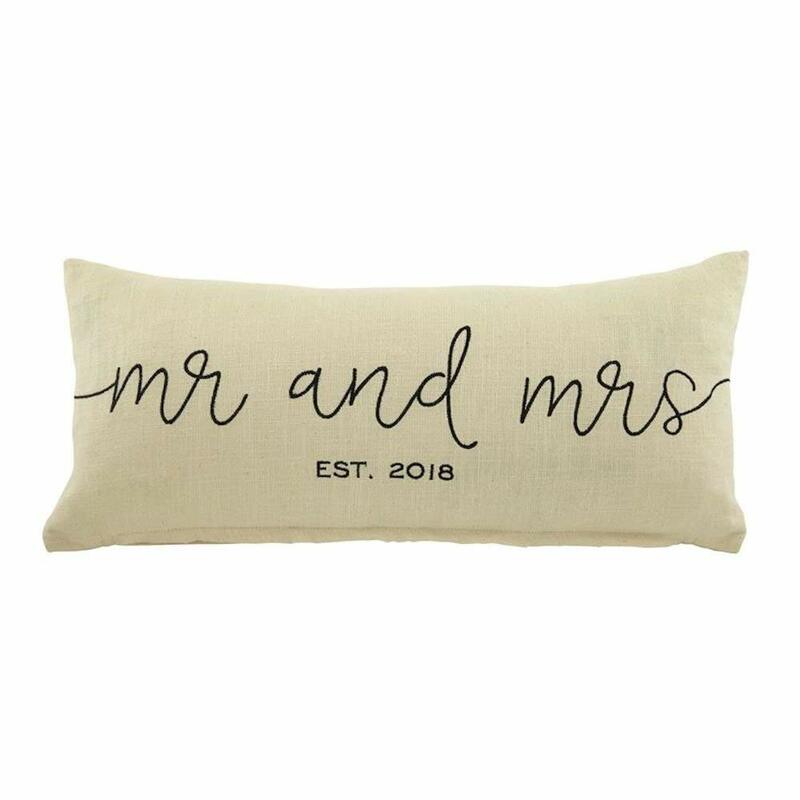 I love this simple yet elegant throw pillow! 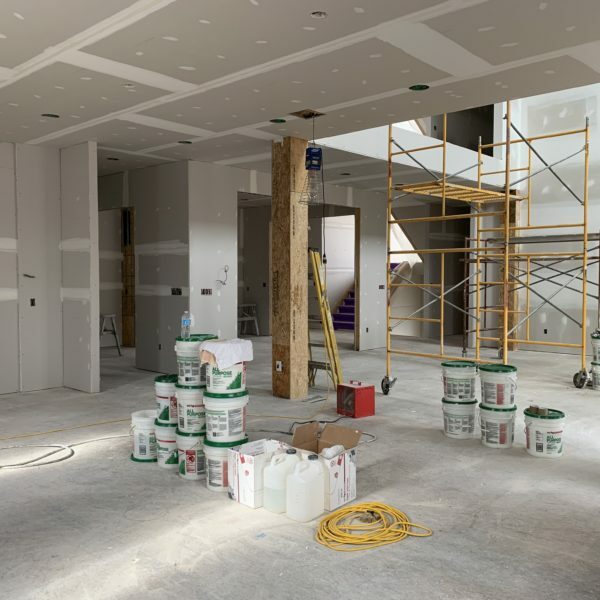 These neutral colors will blend seamlessly into the new Mr. and Mrs.'s home. 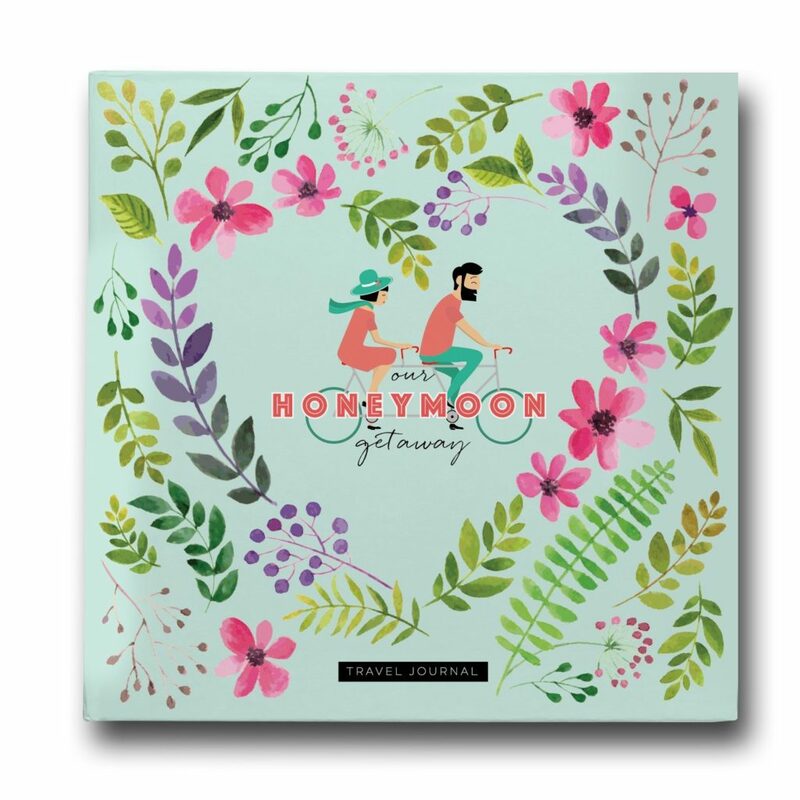 I wish I'd had a honeymoon journal when my husband and I left for our trip! I ended up jotting down what we did each day in a notebook I'd grabbed before we left, but it would have been so much nicer to have a pretty scrapbook style book to reference. We didn't open our wedding presents before we left on our trip, but I still would have loved to come home to this book, with the honeymoon fresh in my mind to jot down everything we did! 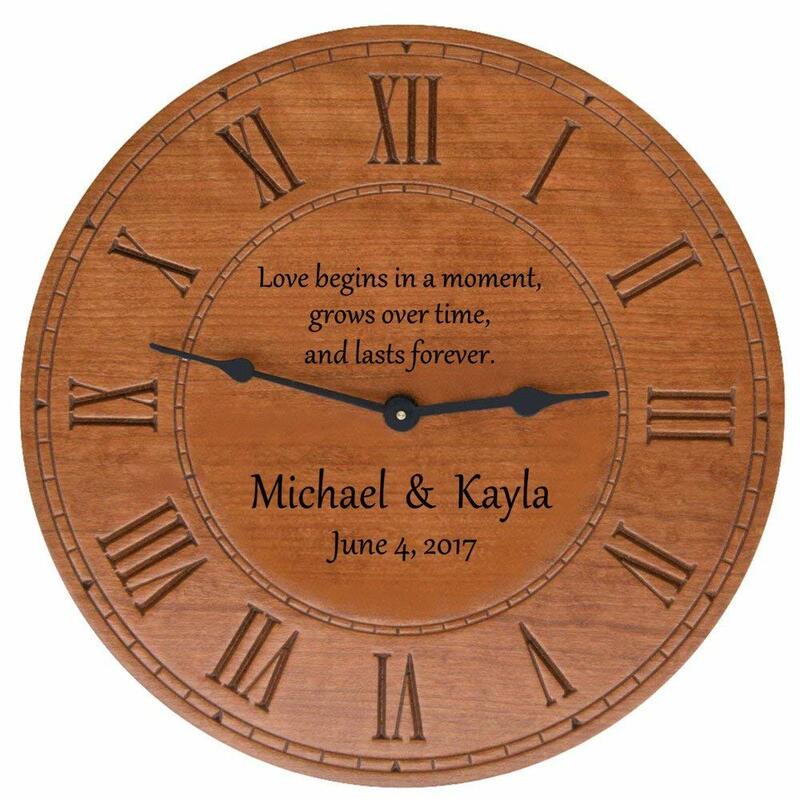 I absolutely love this idea, and I definitely plan on purchasing one of these for my husband and me to make as a keepsake. This molding kit will make a fun activity for the bride and groom to complete with their newly-ringed hands and they get to keep and display it in their home forever! 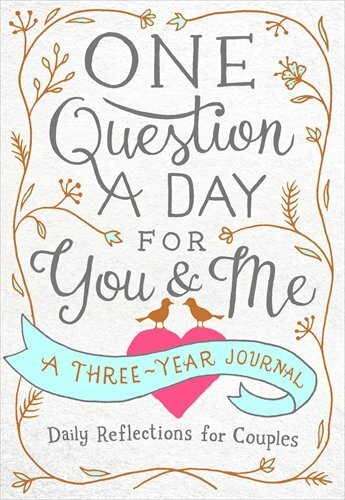 A Q&A book for couples is such a great way for them to stay connected to each other and find new subjects to talk about. 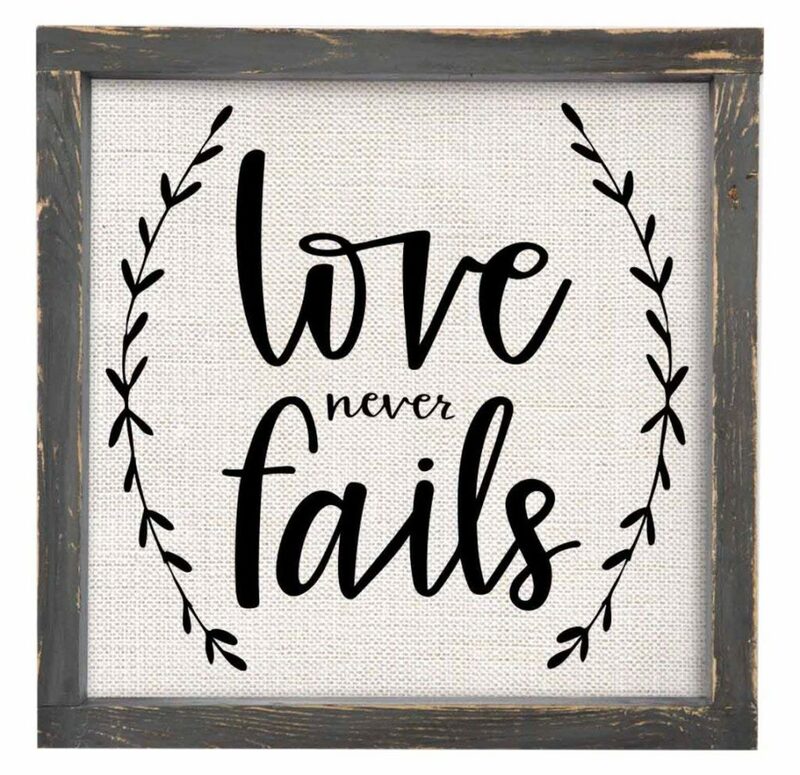 It's perfect for newlyweds, but it could be used at any point in a romantic relationship, so the couple can start it whenever works for them. 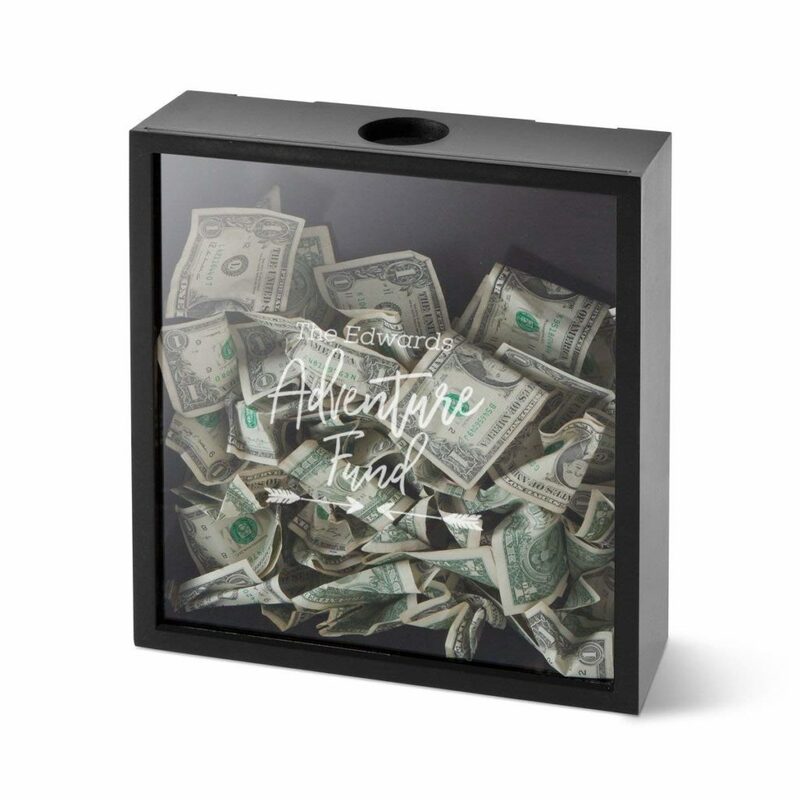 This shadowbox bank is sort of an activity for the couple but also gives them something to look forward to! If you're feeling extra generous, you can give them a little jump start on their savings. 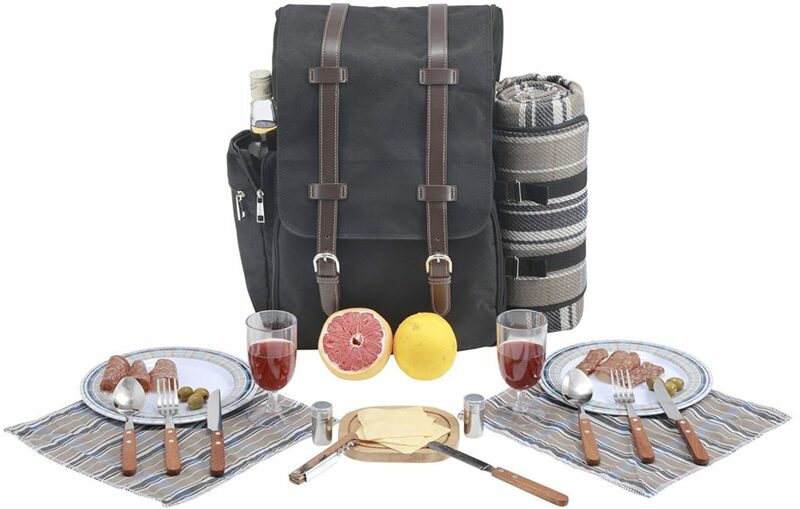 This picnic basket set for 2 is perfect for enjoying a romantic meal after a hike, or a stroll, or a visit to the beach, or just out in the couple's own backyard. 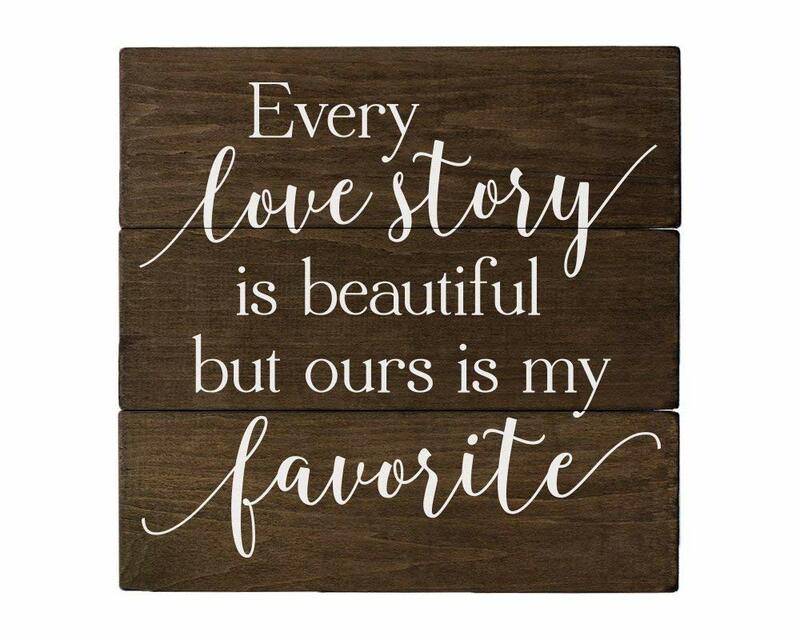 We received a set similar to this one when my husband and I got married more than 7 years ago, and it was one of my all-time favorite gifts. So unique and fun! 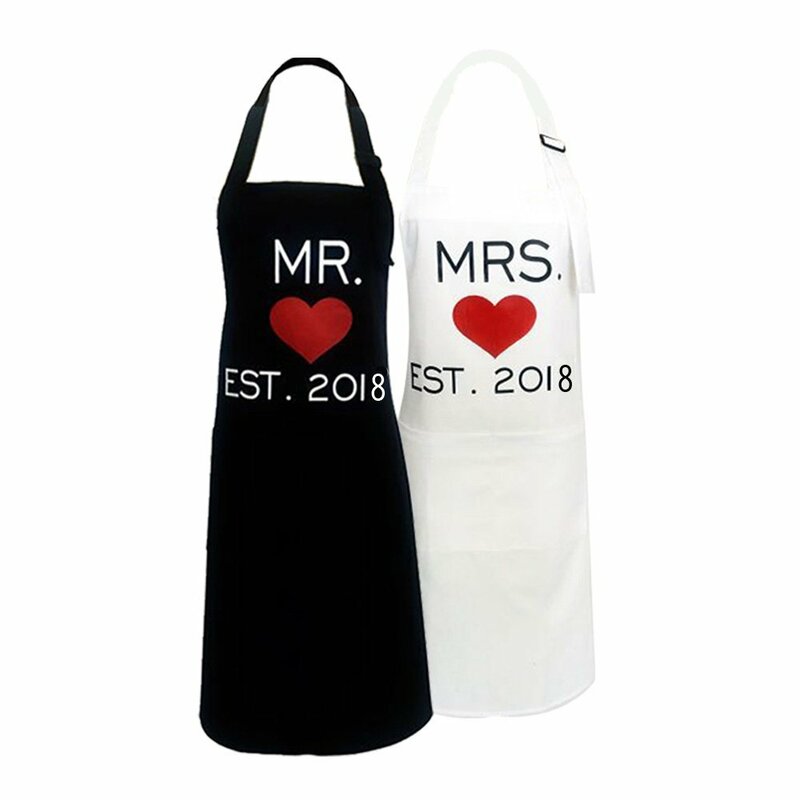 These aprons are a great gift for couples who love to cook together. And even if they aren't, this gift might encourage the couple to spend time together in a new (and delicious) way! 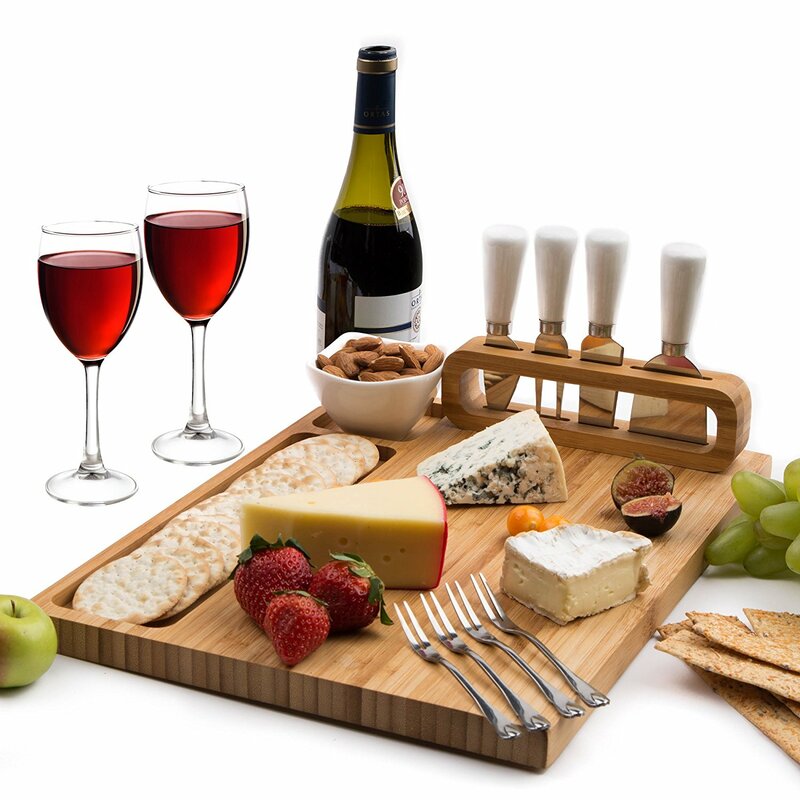 Every couple needs a cheese board. This chocolate fondue service for 2 would make a perfect date night dessert, without the couple needing to leave the privacy of their home! You can't go wrong with a personalized cutting board. 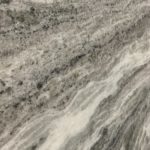 The couple can use it as a cutting board AND display it as kitchen decor when not in use. 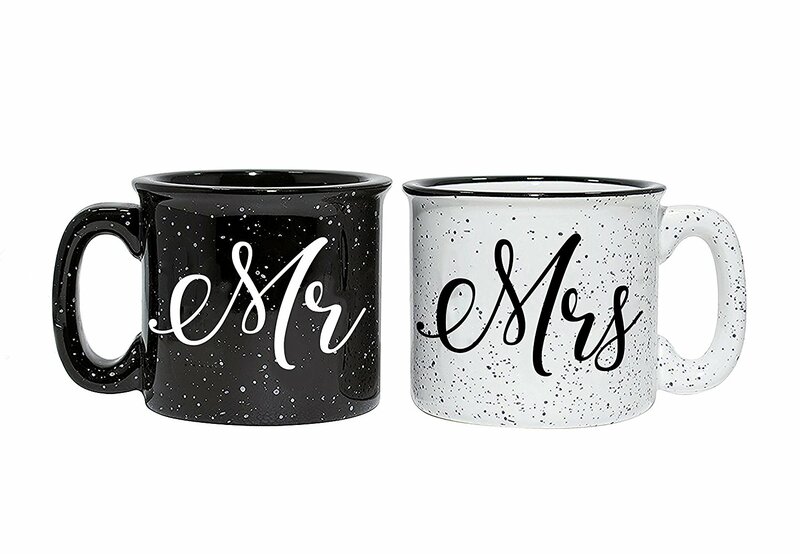 The new bride and groom can enjoy their morning coffee together in these new camp-style couple's mugs. 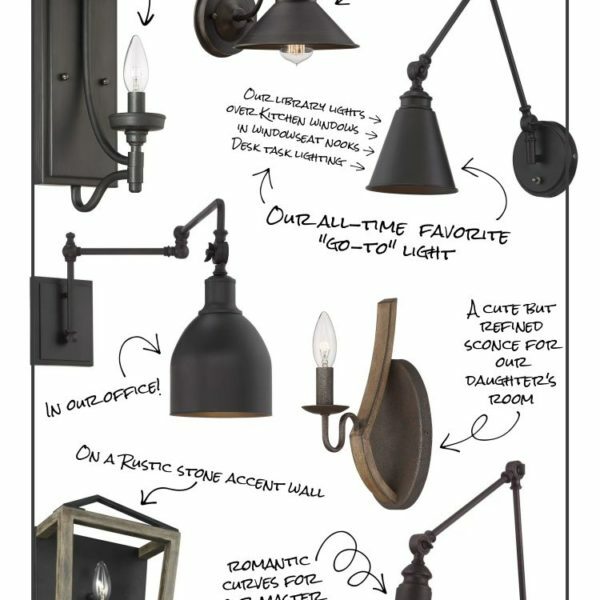 Hope this gives you some new ideas for the lovebirds in your life!